Despite rising optimism about economic growth, American consumers appear to still be struggling to keep their heads above water. They may be making progress on paying down debt, but building up an emergency savings fund appears to be out of reach for most. A new report by personal finance site Bankrate says more than half of consumers do not have enough money on hand to pay an unexpected $500 car repair bill. While these bills don't crop up every month, they do occur. "It's not a matter of if, but when an unexpected expense will pop up," said Jill Cornfield, a Bankrate.com analyst. "Our survey shows that just under half of adults surveyed said they or a family member had a major expense in the past 12 months." So what happens when consumers face a major expense without the money to pay for it? Twenty-one percent said they would put it on a credit card, adding to their debt. Nearly as many said they would cut spending on other things, while 11% said they would turn to family or friends. Unstated, but perhaps assumed, is that a number of consumers would turn to payday lenders, becoming more deeply mired in a cycle of debt. College graduates tend to have more savings than non-graduates, but the Bankrate study found nearly half of the highest income households – those earning more than $75,000 a year – don't have enough money to cover a $500 car repair bill. Interestingly, the Bankrate study found Millennials are most likely to have the savings on hand to cover an unexpected expense. 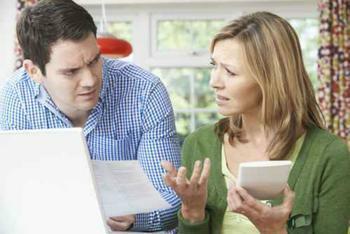 Yet another study suggests it is this generation that is falling behind financially. The advocacy group Young Invincibles has analyzed Federal Reserve Data and says Millennials earn about 20% less than Baby Boomers did at their stage in life. Even Boomers without a college degree were doing better financially than their Millennial children who did go to college. “Too many career colleges charge high prices, but fail to adequately train students for the job market, leaving them under mountains of debt with few prospects,” said Christopher Nellum, Policy Director of Young Invincibles. Building an emergency fund is one of the most-cited financial goals of consumers in 2017. Personal finance experts we recently interviewed offered tips for starting a savings plan, even when the budget is tight as a drum. Michelle Perry Higgins, Principal and Financial Planner of California Financial Advisors, in San Ramon, Calif., says consumers living paycheck-to-paycheck should start small, trying to save as little as 1% out of each paycheck. To prevent backsliding, she recommends making savings to these accounts a non-discretionary systematic withdrawal.